Sun., March 18, 2018, 7:16 p.m.
Former Gonzaga center Przemek Karnowkski gave passing grades to Josh Perkins and Zach Norvell Jr. The referees? Maybe not. JP playing like a vet, snacks is everywhere getting rebounds and making plays! Let’s go fellas! Ex-Zags forward Kyle Wiltjer predicted Norvell’s outburst. Dan Dakich, an ESPN color commentator and the father of Ohio State guard Andrew Dakich, paid up after losing a bet with former GU player Rem Bakamus. 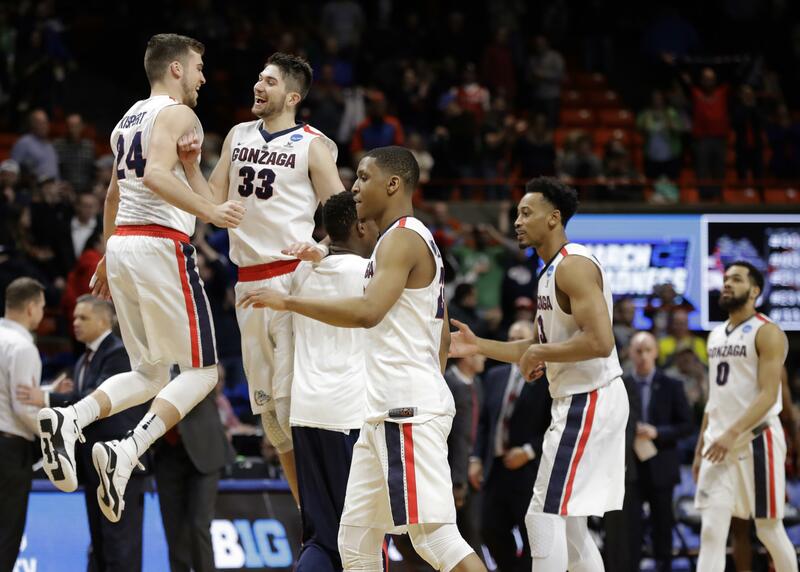 Bakamus also reacted to the Zags’ victory over Ohio State. Former Gonzaga player Eric McClellan chimes in. The Bulldogs were playing in his hometown of Boise, but Kyle Dranginis checks in from Trier, Germany, where he’s currently playing pro ball. He was entertained by Josh Perkins’ first-half collision with video coordinator Riccardo Fois. Nigel Williams-Goss, currently playing for Serbian club Partizan, was back in the United States for Saturday’s game. Maybe there was a friendly bet between Kelly Olynyk and his ex-Boston Celtic teammate/former Ohio State standout Evan Turner? From one Jr. to another: Sam Dower Jr. was one of many who enjoyed the show put on by Zach Norvell Jr.
Dan Dickau wasn’t far from all the action in Boise. Published: March 18, 2018, 7:16 p.m.